Owner & Client: Redevelopment Authority of the City of Philadelphia / Marriott Corp.
Service: Our team, as part of a joint venture, provided Construction Management including Cost Estimating, CPM Scheduling. 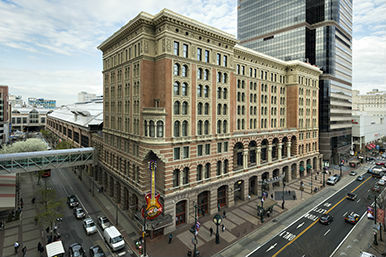 Description: Development and preservation of one of Philadelphia’s most historic structures. The entire development was separated into phases: Public Area Improvements, the Headhouse Development and the New Marriott Hotel projects.